Remember good old times when the mighty gladiators fought against the wrong and for glory and honour? Those days are back again but now these mighty gladiators will fight for you. Pragmatic Play has introduced Wild Gladiators, a 5 reels video slot with a special 6th reel and glorious prizes with it. You might guess the theme of Wild Gladiators by the name itself. Everyone is awed and thrilled by the history and glory of the ancient Roman Empire. And now you can experience that glory and bring back some ancient gold back from your historical journey. Wild Gladiators slot takes you back to the historical time of ancient Roman Empire where the emperors and Roman people used to watch gladiators fighting with each other or against animals just for the sake of entertainment, a bit brutal if you think. Here, the Emperor waiting and thrilled to see some blood is the highest paying symbol of the game. Five emperors on a single active payline are worth 400x multiplier. And if you could get the 6th reel in the game you can win extras up to a 10x multiplier. Now’s the time to spin the mighty reels and win some glorious prizes for yourself. For that, you have wild features with you like a super wild bonus, free spins, and 6th reel. When you get the 6th reel into the play, it will trigger the super wild bonus feature. 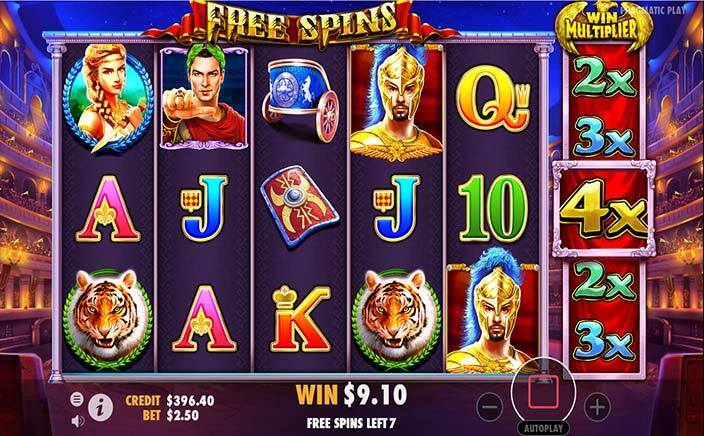 For that, you’ll need to land a super wild symbol on the last reel, which triggers free spins feature. During the feature, you’ll see the expanding gladiator wilds on the reels. If you manage to fill all 5 reels with expanding gladiator wilds you’ll get a 10x on 6th reel also a chance to win a multiplier of up to 100000x per bet line. You can trigger the free spins by landing 3 colosseum scatters on reels 1, 3, and 5. You’ll get to play 10 free spins and a chance to re-trigger the feature throughout the game. 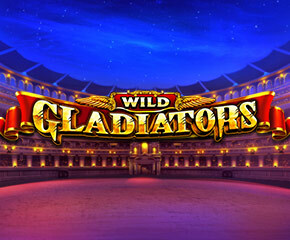 Wild Gladiators slot features a decent theme and slot features. As Rome wasn’t built in a day, you’ll also have to wait for the features and symbols to work their magic and win prizes for you.